Having a bad day? Break a plate. Long week? Sledgehammer a TV. 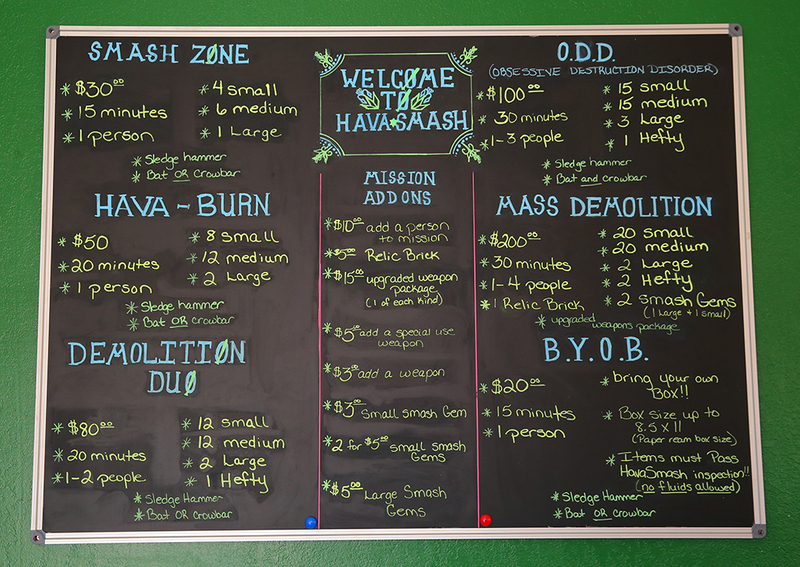 Welcome to Hava Smash, the one place in Lake Havasu City where being bad is good. 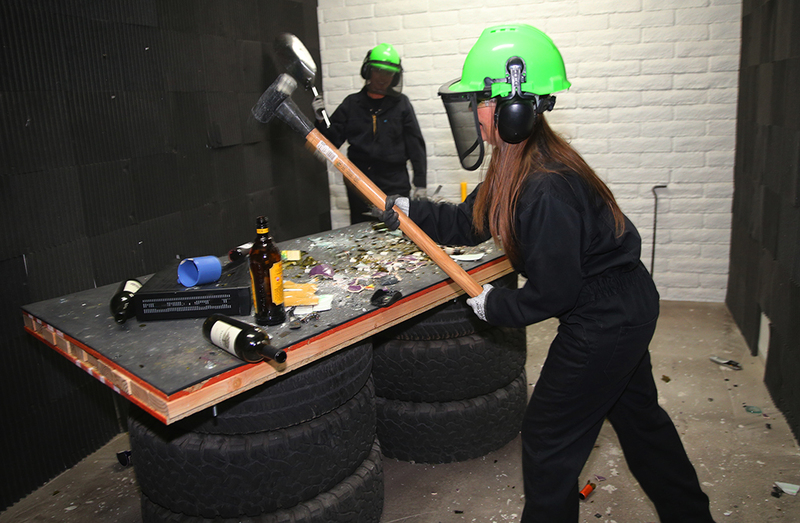 Now Lake Havasu City’s new rage room comes courtesy of two young entrepreneurial sisters, Cassie O’Harra and Corey Jones. These “Smash Sisters” sat down with Riverscene Magazine on a smashing afternoon to discuss their new business and how it started. “It was really just an idea we had after watching TV one night,” Cory says as Cassie nods. “We saw something on TV one night and we thought about doing it,” Cassie continued. 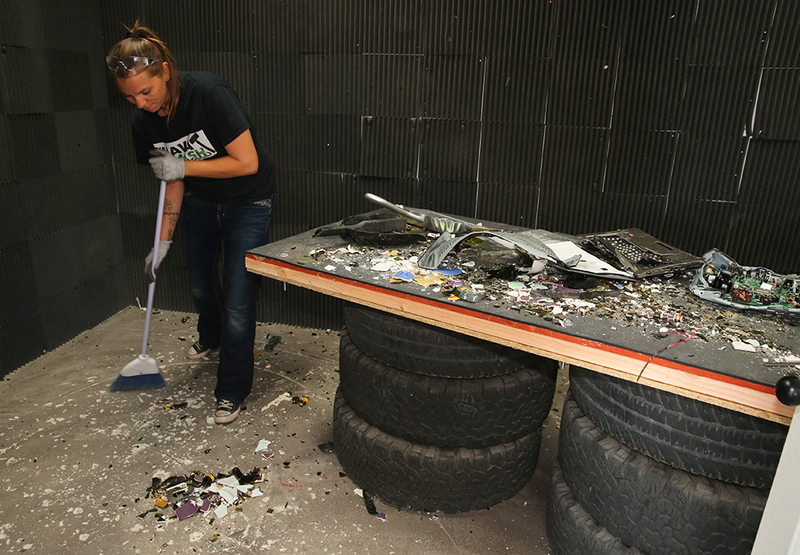 The sisters decided to experience a rage room for themselves before they created Hava Smash, and they loved it. They started scouting locations for the new recreational destruction room, and finally settled into their current location. 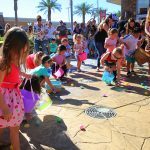 They felt it was important to create something unique for the residents of Lake Havasu to enjoy, especially the kids. 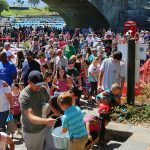 The sisters also have a deep connection to Lake Havasu City from their family’s past entrepreneurial exploits. Originally from Reno, Nev., Cory and Cassie’s family moved to Lake Havasu in 2004 to start and ice cream truck business. As residents of the community, the sisters also work daytime jobs. In order to accommodate Hava Smash, they decided to make it an evening business with reservations. Walk-ins are also welcome for the sisters, who encourage locals to try their smash room. Setting the hours were easy, but some aspects of the business were harder than others. For two sisters, that meant going to work on their new building, and building it up to their standards. The insurance was another hurdle. With Hava Smash being a business based on creative destruction, it was difficult to insure their practice. However, the savvy Smash sisters were able to get insurance, and start their destructive business. Still, even the logo was a puzzle for the two entrepreneurs. “That was a long process. 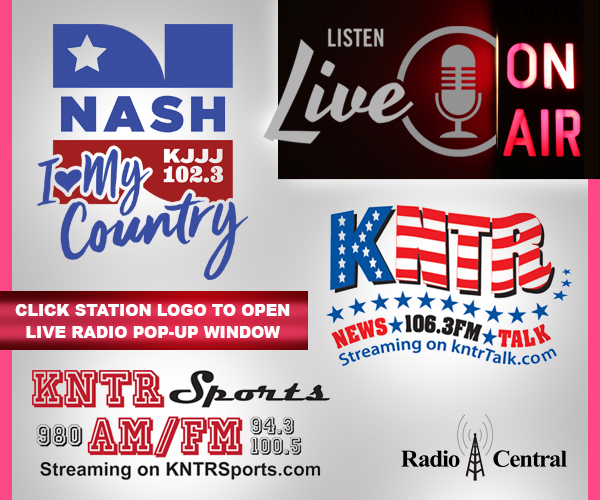 It took us awhile to figure out what exactly we wanted.” They eventually settled on the logo after a mutual friend created something they liked. 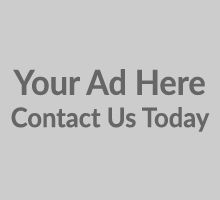 From there it was just pricing and affordability, something which they tweaked extensively. “Safety comes first,” Cassie says as she leads us to the Havasmash armory. 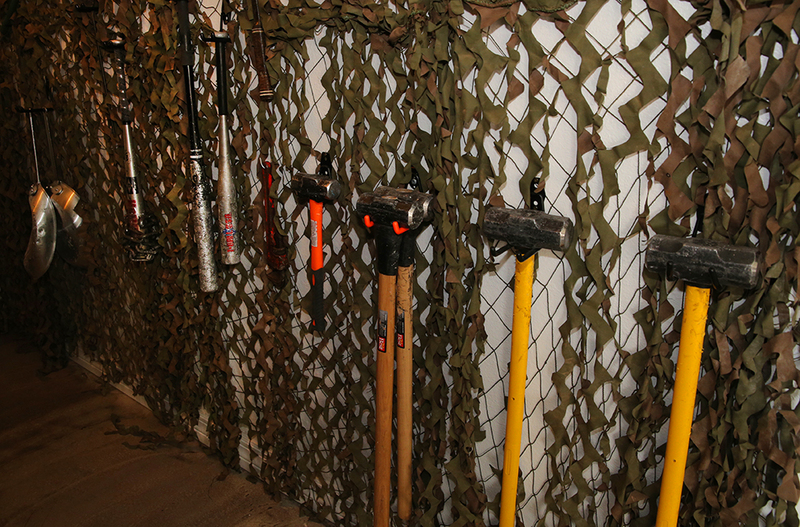 Complete with real military netting from Cassie’s brother, the “armory” holds the weapons that any smashing patron can use for their session, and all the safety gear they need to enter the room. Anyone smashing must have a full bodysuit, foot protective gear, a face mask and goggles. Once you’re suited up, you can select your weapon of choice, which is commonly a sledgehammer and a bat, or a special weapon. Before you enter, the sisters give you one tile where you can write whatever you want on it: your anger, your frustrations, even your hopes for the future. This tile can be destroyed during your smashing session. The Smash Sisters prefer the frying pan and the chained baseball bat, respectively. 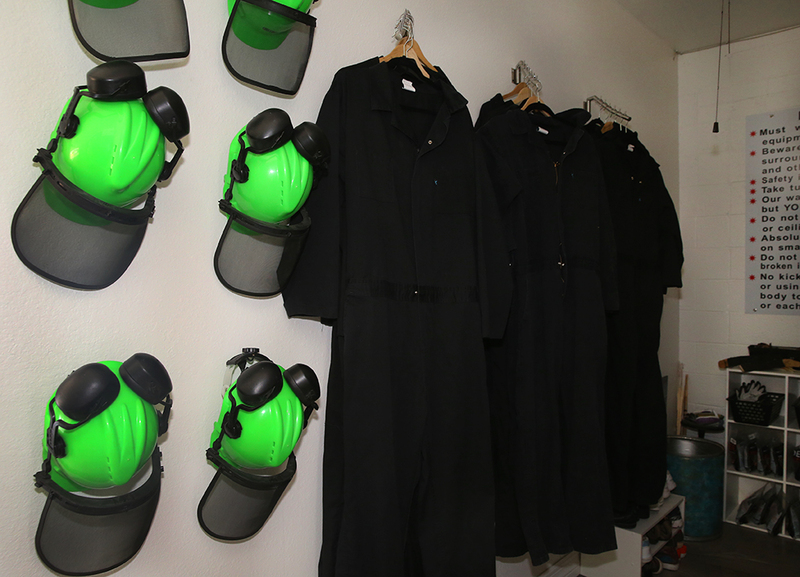 After suiting up, the sisters took us into a smash room to see the process. 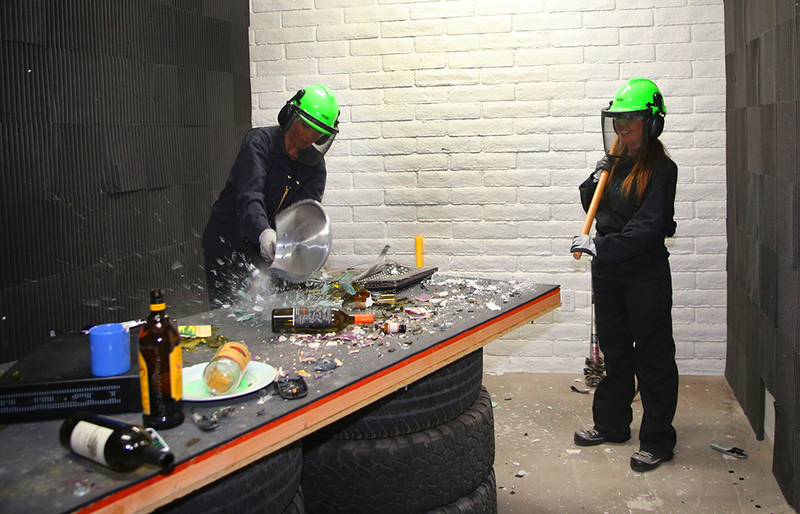 In the rage room, as long as you’re not hurting your partner, everything can be broken. Bottles, old TVs, phones, monitors, cups, and the most importantly, the starting tile you created. 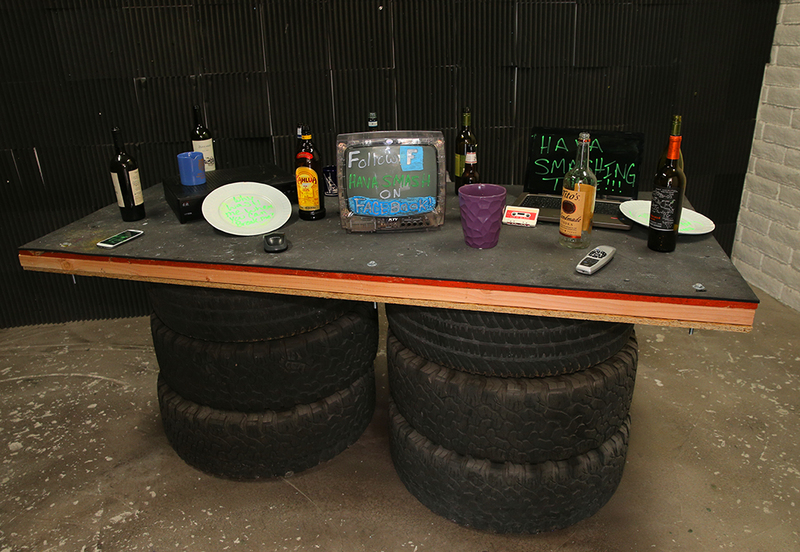 People can even bring their own smashable products, or donate destructible items to Hava Smash in their back lot. As long as there’s no hazardous materials, any item can be broken. 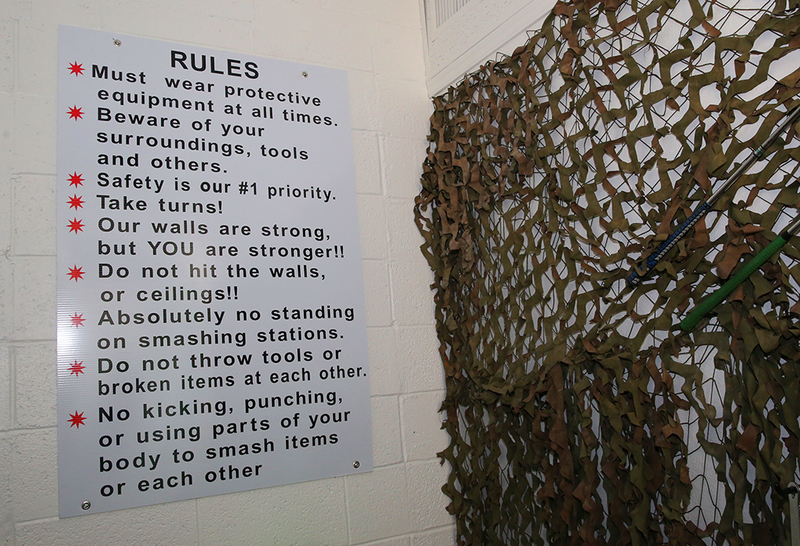 The point of the rage room is to relieve aggression, frustration, and just to have fun. Some smashers have already broken weapons in their room in their sessions. “This is a no-judgement zone,” Cassie said from the Warrior Lounge, which is where the smashers cool down after their session. 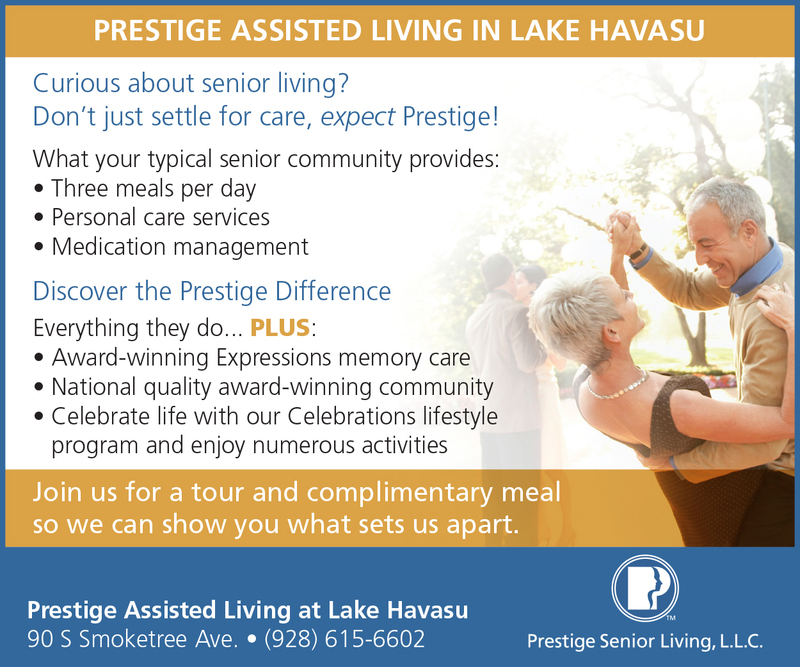 There are a variety of packages Havasu patrons can choose from, and the sisters hold free giveaway raffles on holidays via Facebook and Instagram. The last family who won will be treated to a St. Patrick’s day themed room. 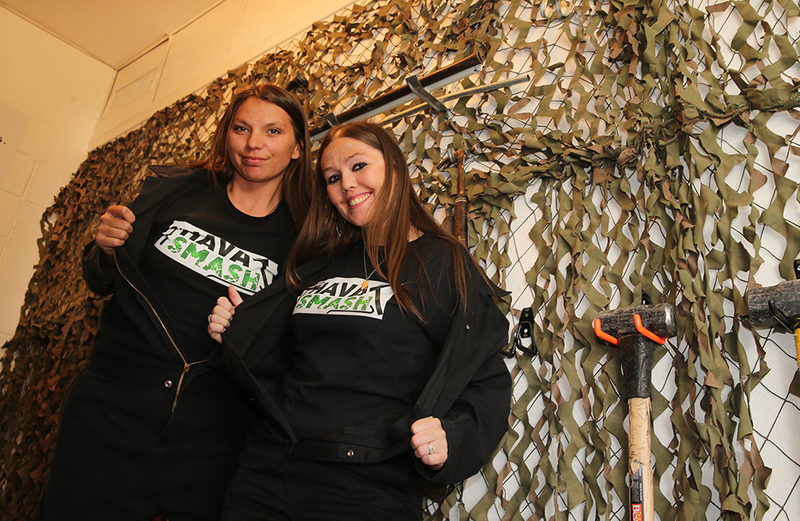 To give back to the community, Hava Smash’s grand opening proceeds went back to Milemarkers. Hava Smash also offer discounts for college students, military, veterans, and even first response personnel, such as firefighters, EMTs, and police officers. “We’re not angry people, we just like to break stuff,” The Smash Sister told us after their session. Hava Smash is open Monday through Thursday from 4 p.m. to 9 p.m., Fridays 4-11 p.m., and Saturdays 2-11 p.m at 21 Acoma Boulevard S.